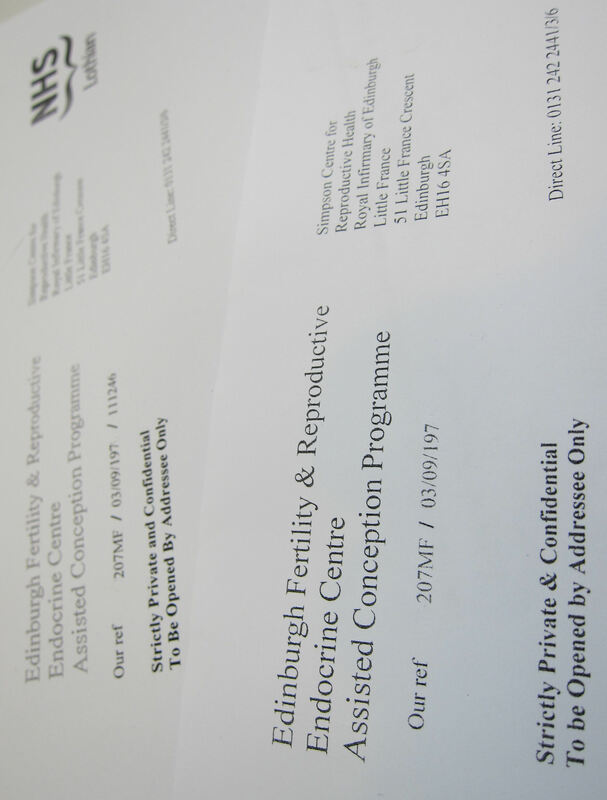 We had a couple of letters from the IVF clinic this week, within a day of one another (which seemed weird, they could have just sent one?). The first one gave us a summary of our last failed IVF attempt, and the second one confirmed that we could have another go in June if we wanted to. It was a bit of a pain, because both letters demanded action in some form and we’d just about got our heads round being between IVFs and back in the real world when we were forced into the old IVF mindset and reminded of the failure for a bit. It was fine, but we could have done with that sort of thing being closer to the last attempt rather than scattered through normal life. The other annoying thing was that both letters were addressed solely to me and labelled strictly for the addressee only. This winds me up so much, and we’ve written to the IVF clinic about this before – literally years back actually. They said they’d sorted it… and yet… not. The husband and I don’t read each other’s post. Maybe others do. Either way, it is my view that the IVF clinic should not be promoting the view that infertility is the fault/burden/responsibility of the female partner by directing everything at her. The process is about two people, not one. Both should be involved and informed as much as possible as equal partners. So grrrr. Don’t get me wrong though, I worry this comes across as all doom and gloom. This blipping is an opportunity for me to vent my spleen on here and maybe I don’t say much about the good stuff. OK, well to be fair there isn’t a huge amount of good stuff directly related to IVF (and its current failure status in particular) but there is certainly a lot of mundane and ordinary stuff which I guess I don’t bother saying. The husband and I are doing fine, as I say we’re back to immersing ourselves in real life for a couple of months. Working, socialising, takeaway, plays, theatre, films, pub, weekend trips. I had some beers at the weekend, that went well. Making plans. Doing stuff that we can’t do when we’re tied to appointments and injections, taking advantage of our child free and IVF free status. Just getting on with it really. And in some cases feeling even more liberated than usual, if temporarily.